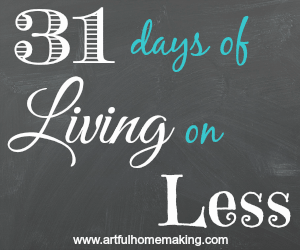 This is the twentieth post in my 31 Days of Living on Less Series. If you’d like to read all the posts in order, go to Day 1. Sometimes you just need a break. And what better way to enjoy some family time than with a tea party? I have “tea time” on our schedule for every Friday afternoon. We don’t always get to it, but it’s one of my goals. Everyone gets excited thinking about a tea party after spending the morning cleaning. 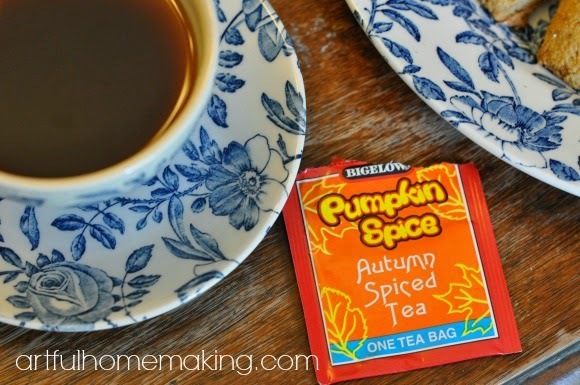 We get most of our tea from the discount grocery store, so it’s not an expensive luxury. 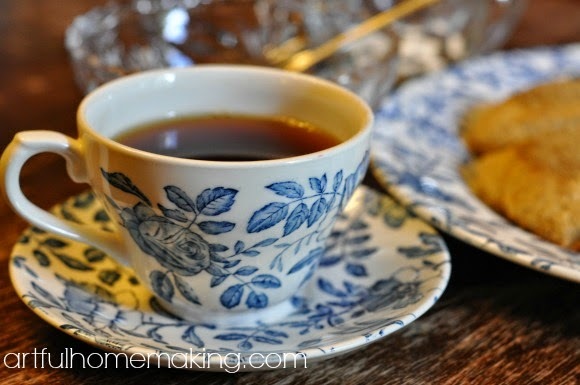 As you’re working toward a simpler, more frugal lifestyle, tea parties can be an inexpensive pleasure to enjoy! I love tea parties! It’s been so long since we’ve had one, but now you’ve inspired me. We were the same way—not having tea parties often enough! I love having it as part of our weekly routine. What beautiful china and a wonderful tea party!. 🙂 Looks delicious. Like Sarah said, what a lovely idea! I'm not a tea person, but an afternoon hot chocolate would be a special treat, too. 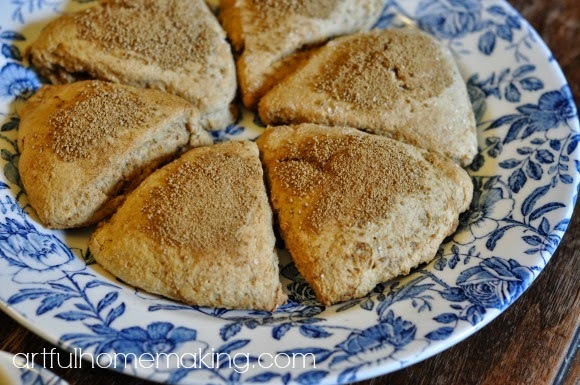 Besides, scones are a good idea at any time! Such a lovely idea! The photos of your scones and tea cups are just delightful! I look forward to trying one of the recipes you shared. Thank you, Sarah! I hope you have a lovely Friday!